This is the property that will be torn down. It was built in the 1950s. New construction along the gulf beaches has been pretty rare lately. 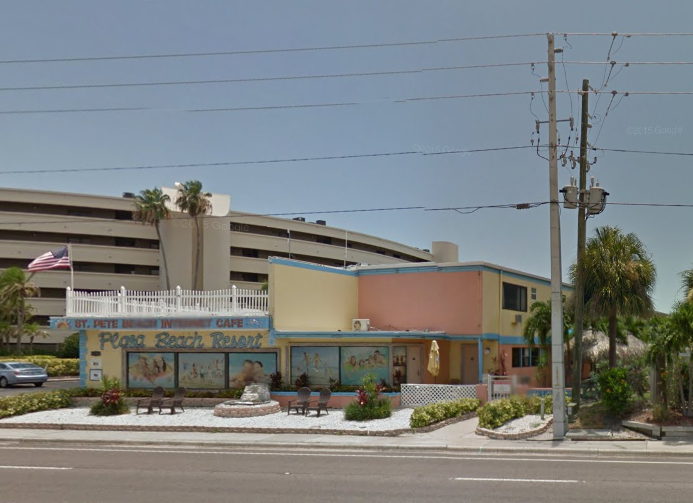 That's why news of a new condo hotel in St. Pete Beach is generating excitement. It's been a long time coming because of squabbling over long-term development rules and restrictions, but the coastal city is expected to get a new hotel by 2017. A third-floor swimming pool with Plexiglas sides visible from the beach. A fitness room with a boxing ring. A two-lane bowling alley in the lobby. Read more about the plans here. And check out cool renderings here.